When it comes to sheer volume of accidents, running into man-made obstacles, radio transmission towers, power lines and tall buildings and bridges is not a common way that pilots come to harm. Yet every year it seems a few pilots fly their perfectly functional airplanes into man-made obstructions at relatively low level. Sometimes the accident comes in low visibility with the pilot desperately searching for an airport in weather that was marginal VFR, at best, and sometimes it comes when pilots run their planes into unusually tall structures while in cruise or on approach to an airport. I had reason to think long and hard about the risks that obstacles pose on a recent flight in my Skylane. It was a typical early summer day in Central Texas, and a friend and I were going to grab a bite to eat at an airplane-local spot, Fredericksburg (T82), where there’s a great 1950s-style diner that serves biscuits and gravy (don’t tell your AME) all day. The trip wound up offering a couple of interesting experiences, one of which you can probably guess has to do with man-made structures and the risk they pose to VFR flight. It’s not a new risk, but it is one that’s getting more pronounced with the near-universal adoption by GA pilots of GPS technology, which allows them to go from one spot to the next, sometimes without much concern for how those two spots are linked geographically. Not that we haven’t always gone direct from airport to airport. We never realized it back in the day, but most of the time when we were flying VFR we were either sightseeing or flying direct. Occasionally we’d fly a strategic course to avoid high terrain or busy airspace, but often we’d just point the nose where we wanted to be and just fly there. It’s the same today, though thanks to GPS technology, we refer to flying from point to point as flying “direct” more commonly. The point is, now, as was the case back then, when you fly direct you’re in charge of making sure you avoid terrain and obstacles. Terrain is usually pretty easy. Don’t hit the ground or the mountains. In clear weather, both are usually pretty obvious to the naked eye even from a long way off. When the visibility is low, because of weather or dark of night, that’s a whole different ballgame (and the subject for a different article). With good visibility, it’s not typically terrain but man-made structures that present the biggest hazards for two main reasons: They’re really tall (and getting taller) and they’re often really hard to see until you’re close to them, and even then they can sometimes elude your eye. The photograph that accompanies this article is one I took on the flight to Fredericksburg that morning. I posted it on my Facebook page without giving my online friends, thousands of whom are pilots, any heads-up that there was a tower pictured in the shot. In fact, until I pointed it out, not one of them brought it up. I assume that no one noticed it, a thousand-foot-plus-tall structure of metal with an array of potentially airplane-shredding braided steel cables extended at angles down to the ground from it. No one mentioned it because no one saw it. That’s the danger of these towers. So, how does a pilot cut down on the risk? Sometimes the answer is simply to fly higher. To state the obvious, the beginning of any low-level flight is the decision to fly low. In many cases, this is done to enjoy the scenery or to stay under the weather. Both can be tricky. For the most part, though, VFR traps are almost always related to weather, and more often than not, to unanticipated weather. Of those surprises, the most common is otherwise benign weather that’s lower than forecast or lower than you hoped it would be despite the forecast. And when pilots feel as though they just have to make that trip regardless of the risks, well, you know what can happen then, and it can turn from harried to tragic in short order. There were no tragedies on our flight, no close calls at all, in fact. But I did choose my lower-than-usual cruise altitude in order to stay below a ceiling and in the process I was reminded of a lesson: Even though we think of IFR flights as being more critical to plan carefully, in some ways, it’s the other way around. We need to give careful consideration to our VFR flights when we decide to go low. There are a number of risks we assume when we fly at altitudes where obstacles might be present. I’d been watching the weather out of the corner of my eye for the last few hours, and there looked to be no big surprises in store. 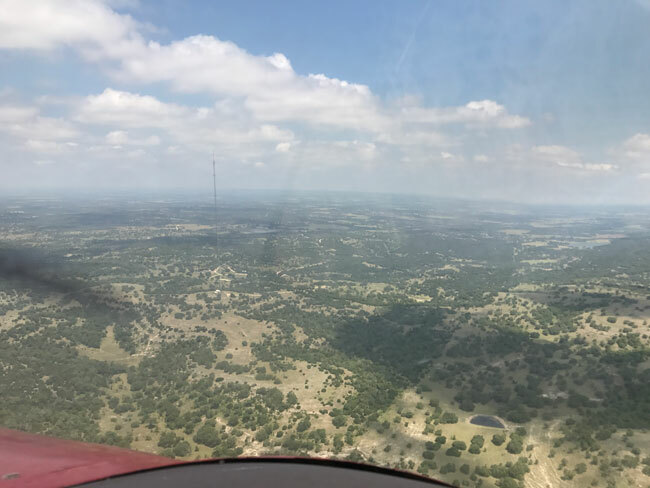 The clouds were forecast to be low-ish but still VFR, with broken ceilings of around 2,000 feet AGL rising up to better than 5,000 feet just to the west of San Marcos by the time of our flight. One thing about the weather that never surprises me is when a cloud cover lifts more slowly than forecast. The weather folks are getting better and better at predicting the future, but when it comes to a cloud cover lifting, small variables in the conditions, including higher or lower temperatures and misforecast atmospheric stability, can mean big differences in how long a low layer hangs around. I wasn’t too worried, as we had options galore, including just driving into downtown San Marcos and grabbing a bite. Get-there-itis was not a factor. As it turned out, the weather was indeed lifting a good deal more slowly than we’d anticipated, but the ceiling was getting high enough quickly enough to allow us to go VFR without much hesitation. And we did. Now, when you’re below 3,000 feet AGL, the rules for direction of flight when you’re in cruise don’t apply, so we could cruise at 2,000 feet westbound and still have plenty of clearance below the broken deck, knowing that as we flew west the ceiling would rise to up to 4,000 feet or so by the time we got to Fredericksburg. As I’ve said, whenever you fly low, obstacles are a concern, and more and more that can mean not only a tower but a really tall tower. They’re getting taller, too, and more prevalent in our digital-crazy world. 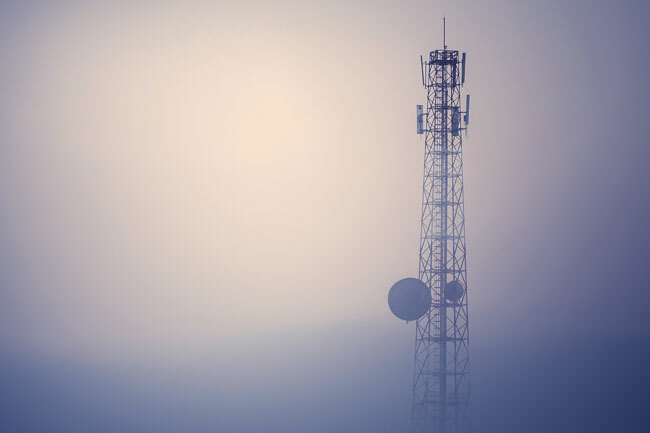 The tallest tower in the United States is a radio tower in Blanchard, North Dakota, that reaches to 2,063 feet AGL. (By the way, all subsequent altitudes are AGL, unless otherwise noted). It is one of only three towers that top the 2,000-foot mark, though there are 58 U.S. towers that rise to 600 meters (1,967 feet) or taller. While tower builders are concerned with the AGL figures, the number you really care about is the structure’s highest point above sea level, or MSL, which is what you’re looking at on your altimeter as you fly along. The altitudes listed on charts for towers should be taken as gospel, though in fact the figures are slightly higher than the actual tower is. The way the official height of a tower is listed on an aeronautical chart is determined by taking the actual height, adding a fudge factor of 100 feet to that number and then rounding up to the nearest 100-foot increment. So, say you have a tower that’s really 1,751 feet tall AGL. You take that true height, add 100 feet, to get 1,851, and then round up to the next-highest round hundred figure, or 1,900 feet. In this instance, you can see that the actual height of the tower is really almost 150 feet lower than advertised on the chart. On the chart, you’ll see there are a couple of ways that towers are depicted, one that’s a simple inverted triangle and the other that looks like a sleek modern design that arcs toward the sky. The latter towers are the ones on which you want to keep a close eye. As far as the specific altitude, there are two figures on the chart. The higher one represents MSL altitude of the top of the tower, and the lower figure, in parentheses, if there’s room to list it, is the AGL height. The top figure will be the higher one except in places where the obstacle is situated in an area that is below sea level, so it can happen, though it’s rare. Again, the top figure is the one you care about because we fly based on MSL and not AGL. Lest you think man-made obstacles are a rarity, there are around 1.2 million charted obstacles in North America, and it’s safe to assume that there are noteworthy obstacles that aren’t charted. There are possibly some that have been taken down without getting removed from the chart, but those are not as much a hazard to navigation as the actual towers are, for reasons I hopefully don’t need to go into. The obstacles that get included in the database are those that are 200 feet AGL or greater, so if you’re flying nap of the earth, you’re on your own when it comes to figuring out what not to hit. The tower that popped out at us while we were headed to Fredericksburg was one that we knew was there and could see on Garmin Pilot but still had a hard time seeing with the naked eye. At 1,149 feet AGL and 3,049 feet MSL, it’s not a huge tower in comparison to the biggest of the big, but all that matters is that last foot if you hit it. When the author posted this image on his Facebook page, no one mentioned the tower pictured in it until he pointed it out in a subsequent post. They’re giant and made of metal, but notoriously hard to spot. The point is, at our cruising altitude of 3,000 feet we were actually a little below the listed top of the tower, and it’s one that a lot of pilots have to fly around all the time. If you draw a straight line from San Marcos to T82, it’s just to the left or right of course, depending if you’re coming or going. It’s a well-known and oft-discussed obstacle among local pilots, as big towers near airports tend to be, for obvious reasons. So, in this case, staying out of the cloud bases and giving ourselves plenty of room below the bases, as required by the FARs, put us in a position where we had to dodge towers, with at least one of them at a listed height actually above our cruising altitude. When you’re VFR, remember, even when you’re getting flight following, which we were, you’re still the one clearing yourself and assuring that the route is a good one. In our case, we knew where that tower was, and even though we had a hard time seeing it with the naked eye until we were within a couple of miles (remember guy-wires, people), we knew where we were in relationship to it the whole time. In actuality, a controller might warn you of obstacles in your path if you’re low enough that it matters, but they are under no obligation to do so. And, indeed, the busy Houston Center controller we were talking to had little time to pay attention to our little Skylane, and he certainly wasn’t warning us of any towers. Remember, when you’re flying VFR, the controller is there to help when they can, not to provide separation from other planes or clearance from terrain or obstacles. On the other hand, when you’re on an IFR flight plan, controllers refer to minimum altitudes for a given sector to determine safe enough altitudes for direct routings and providing vectors. When you’re VFR in areas with mountainous terrain, the safest bet is to fly the airways and observe the minimum enroute altitudes (MEAs). Besides, the airways are usually along the most navigable route between big chunks of rock, which means that’s where roads, cities and even the occasional airports are, too. Modern technology has come to the rescue, to a large degree, where obstacle avoidance is concerned. A good aviation application on an iPad or Android tablet or phone even will show where the obstacles are, how high they are and some will even warn you as you get close to them. The two leading aviation apps, ForeFlight Mobile and Garmin Pilot, make use of extensive databases to catalog every known obstacle while providing multiple ingenious ways to warn you of their proximity. 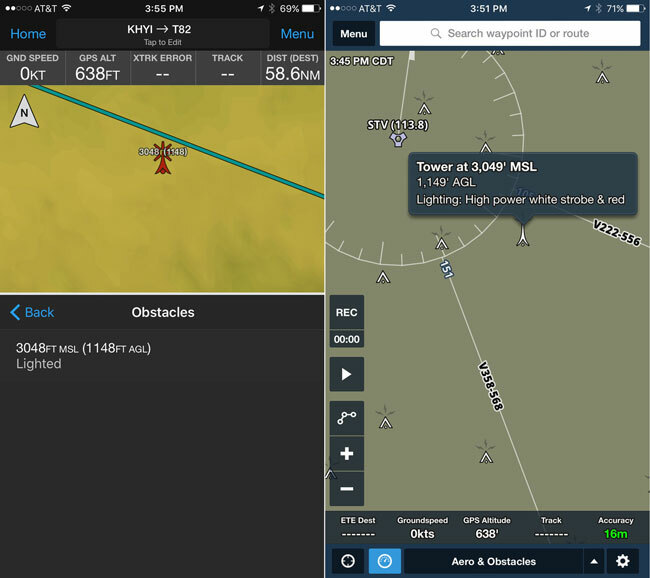 Both apps have a Synthetic Vision view to show you obstacles along your path, and ForeFlight features a profile view to help you scope them out in advance, while Garmin’s has audible warnings. In both apps you can long-touch the tower in question and you’ll get the AGL and MSL altitudes for it. Both ForeFlight and Garmin Pilot, the two leading aviation apps, have excellent obstacle avoidance features even in their iPhone-friendly versions of the affordable do-it-all aviation apps. In a lot of airplanes, you’ve got another useful feature: the terrain awareness and warning system (TAWS). TAWS is effective at providing highly graphical depictions of safe altitudes, marginal ones and ones that are very low for the terrain and obstacles in that sector. TAWS is, in many ways, an ideal solution, as it worries much less about the details of the obstacle or terrain that create the hazard than about the big picture information, that is, again, what your really safe, marginally safe and highest risk altitudes are for where you’re flying. For me, TAWS is arguably the best solution because with a single glance you can see where the safe altitudes are and where they aren’t. At night, in areas of high terrain or in unfamiliar areas, TAWS can be a lifesaver. When it comes to databases, know that there’s not one single source of obstacle data. Database providers need to scour multiple sources, both governmental and private, in order to come up with the latest list of known obstacles and new ones, too. The FAA is constantly updating its database—every few days in fact. The information, while not 100 percent accurate, is verging on it. So when it comes to obstacle clearance, there’s really very little excuse these days to be surprised by the sudden appearance of a tower. When we’re flying low, we accept an increased level of risk, and with towers being so very tall these days, flying even at 3,000 feet MSL should give you some pause for reflection and for study. Check out the charts and make sure the path is safe. With the cost of really great apps being so low and the value of them being so great, it’s hard to understand why any pilot wouldn’t fly with one on just about every flight. When we venture out to go flying, we’re probably safe from dragons, but there definitely be towers out there. They’re not mythical and they’re not going anywhere. They are stealthy, but luckily they’re also slow moving. Regardless, whenever we’re in their territory it’s our mission to outwit them and live to fly another day. There’s one near Fullerton, CA (KFUL) that’s in a precarious location near the right downwind leg on RWY 24. It claimed lives not too long ago and the airport is in the middle of some very busy airspace: you’re below 6000 unless you have Class B clearance (LAX). Many years ago, as a fairly green VFR pilot, I was flying a rented C150 from Key West back to South Florida. There was (and I assume, still is) a very tall radio tower south of Tamiami airport. I was from Illinois and not familiar with South Florida. Although I had seen the tower on a sectional chart, there is no geo referencing on a piece of paper like we have now! I believed myself to be East of the tower, north bound. Very fortunately, a TRACON controller who was offering me flight following suggested that I make a turn to the East as the tower was on my present heading. I thanked the controller and made a small turn, less than 10 degrees. About 30 seconds later, I passed less than a couple hundred meters to the east of the tower, below the top. I am quite sure that had the controller not provided that advisory, I may very well have either hit the tower or one of the guy wires that were on all sides and my very young piloting career would have ended. Since that time, most of my flying has been IFR or, if VFR, in areas that I am very familiar with. Even then, I always request flight following and almost always get it. Controllers sometimes miss advisories for VFR traffic, but on balance, it is much, much better than not having someone watching. We can mount our beacon light with ADS-B In and low power ADS-B Out tranceiver on the masts. Based on traffic (ADS-B In and mode C/S proximity detection) we can have the Beacon light start flashing… this will make low level airspace a little safer for GA.
For clarity, I believe your calculation of tower height only applies to the Maximum Elevation Feature (MEF) the large Blue Numbers on charts that caution the heighest feature within the defined grid. The actual tower height figures are not rounded up to the next hundred feet. Looking at tower elevation figures show precision to the foot increment. I hope someone corrects me if I am in error.